I don’t normally post on the weekend, but I wanted to give a quick shoutout to my dad and a very important group of fellows. One thing I’ve learned as a father is that it’s one of the top two most important roles I play in life yet I continually feel so ill-equipped for it. It’s more complicated than putting together a piece of Ikea furniture without those stellar instructions they put inside the box. Note the sarcasm there. Those instructions are the worst. Now, if the components of the piece of furniture kept shifting sizes as you tried to put the thing together… that would be a better picture of parenting. We do not get handbooks when they release us after one whole day in the hospital to bring our precious child home. They somehow trust that we’ll figure it all out. Instinct should kick in, right? These days, it just takes a quick Amazon search to find resources to read and listen to about parenting. They didn’t have those things back in 1971. Dad – You had your instinct and your character. And you leveraged those two things well. I realize more and more how blessed I am to have you as a father. I’m doing my best to learn from the things you’re good at and build on the example you provided. Happy Father’s Day! I look forward to watching the U.S. Open with you today! 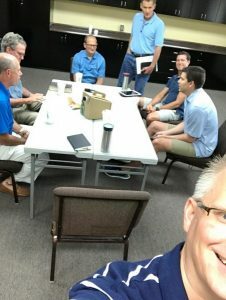 Second, my men’s Bible Study. They’ve been alongside me ever since I started my daddy-ing journey. We’ve been meeting nearly 10 years, and I’m pretty sure they’ve been one of the single most important influences in my role as a dad. I’m truly blessed to have had the dad that I did, but even so, having a group of men who take very seriously their roles as ‘point men’ in their families has meant more than even I can realize right now. 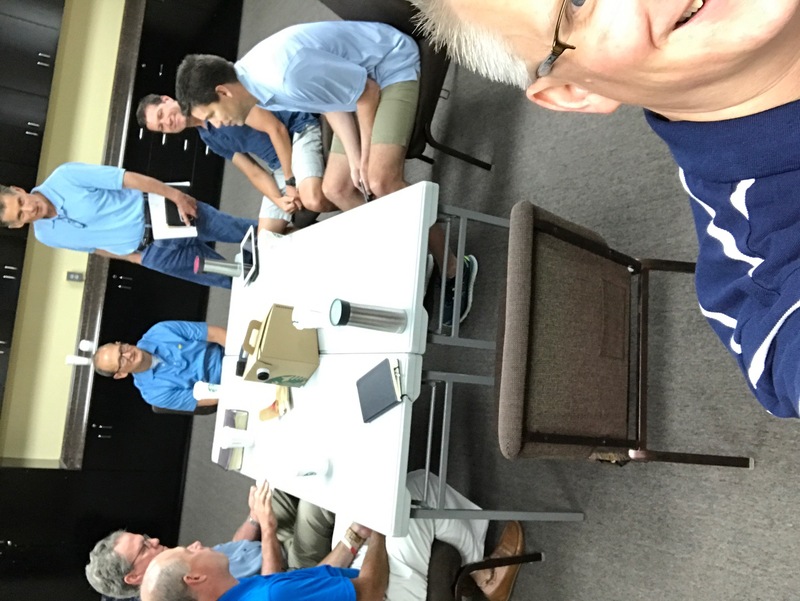 We’ve gotten together weekly to share our successes and struggles as dads and husbands and employees and bosses, to pray for each other, and to keep each other accountable. We’ve studied Scripture and various books and video resources on prayer and evangelism and parenting and marriage. I still feel like a novice, but man… to think where I’d be without these guys and this group? Happy Father’s Day fellows! I love you guys and appreciate every one of you. Even if none of us are experts, the influence of being around a bunch of guys who care deeply about their various roles as men has been huge for all of us. So glad to be a part of it! Happy Father’s Day to any other dad who happens upon this post. Continue to grow. Figure out where it’s hard and get some help. Encourage other fathers around you. We all need each other. We have a huge impact. Let’s have a really good huge impact. How about it?